Custom embroidered apron for Kali. 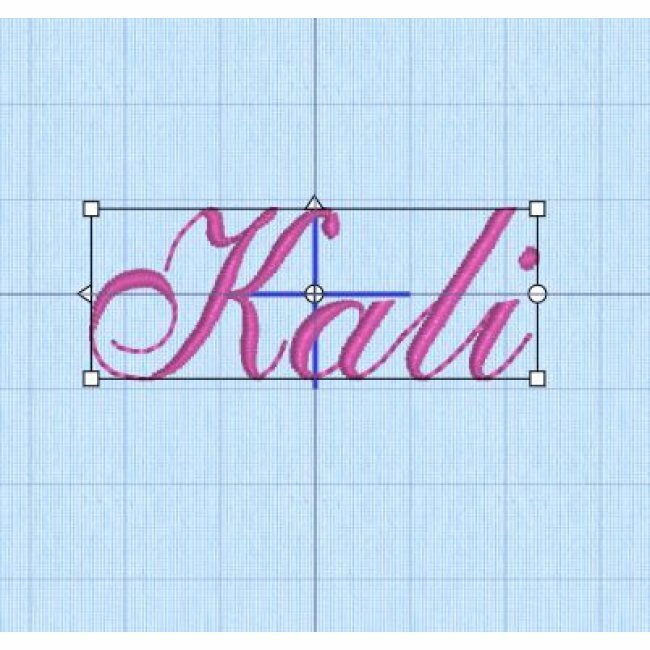 Kali will be stitched in elegant font using white embroidery thread. This stunning vintage pin up apron will surely be a hit. This aqua, pink, and orange floral print is beautiful to the core. We created a full skirt with two tiers. The bottom layer was made using an aqua diamond print. The aqua print brings out the aqua colors in the main apron. 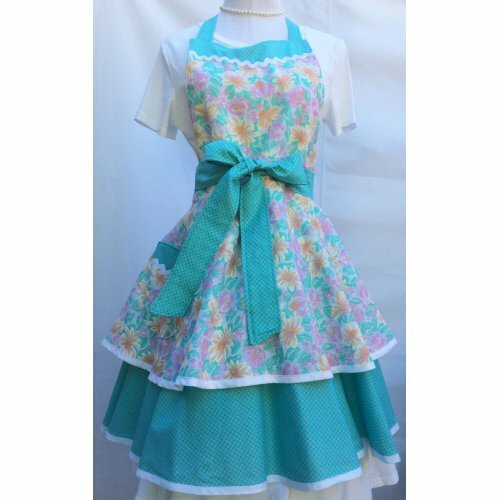 The apron features a sweetheart shaped pocket and bodice, with the aqua diamond print as an accent. Details Apron has a full skirt finished off with white bias tape. The waist ties are long enough so that it can be tied in front or in the back. All edges are are top stitched for a more professional appearance. This helps the apron keep its shape. Made from 100 percent cotton fabric. Apron measures 30 inches in length Waist measures 28 inches, which does not include the ties. The neck straps are adjustable and are tied in the back.